Facilities: Modern insulation and central heating, fully fitted stainless steel kitchen, toilet facilities and dedicated special needs facilities. 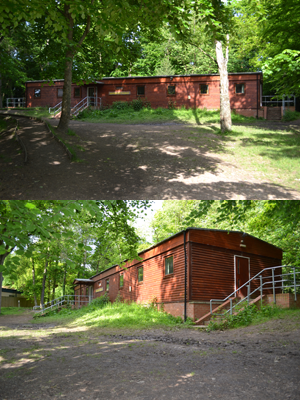 About the building: Opened in 2009; the building is in Hogtrough Wood, but only a 50 metre walk to the Site office. 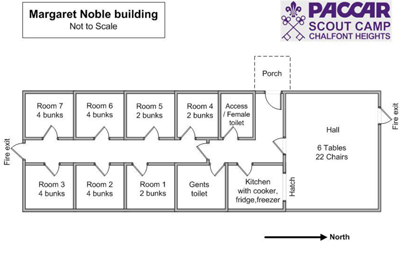 The Margaret Noble Building is a log finish cabin with dedicated special needs facilities and a hall which can be used for team activities and meals. Cost includes:Camp fees, all gas and electricity, kitchen utensils, cutlery, mugs, plates and bowls for 22 people.